Pain relief therapies at Sparsh Ayurvedic clinic mostly focus on using natural ingredients such as herbal oils, plant extracts or pastes. The major difference between the convention and Ayurvedic Pain Management therapies is that Ayurveda believes in improving mental health along with pain reduction. Use of pain killers reduces resistance power of the body and can generate side effects as well. Ayurvedic pain relief therapies at Sparsh Ayurveda are safe and natural which mitigates the pain of the patient in best possible way. Opt for pain relief therapies which effectively subsides pain, stiffness, swelling and tenderness of the affected part, enhance circulation, promote strength, improve mobility and provide comfort enabling you to carry out daily activities without hindrance. Pain relief therapies at Sparsh Ayurveda are very effective in acute as well as chronic pain like in sports injuries, osteoarthritis, rheumatoid arthritis, myalgia, spondylosis, sciatica, low back ache, muscle cramps, sprain, etc. The pain relief therapies at Sparsh Ayurveda is based on all these characters like frequency, location, age, duration, intensity and also the associated symptoms. At Sparsh Ayurveda, physicians checks the the medical history of the patient, his lifestyle and Prakriti to find out the causes of his pain. Wide range of pain relief therapies like Patra Pinda Swedana, Kati Basti, Janu Basti, Greeva Basti, Hriday Basti, Shirodhara etc are available. The word “patra pinda swedna” is combination of three words which are Patra, Pinda and Swedna. Patra means leaves, Pinda means a sort of potli and Swedana means sweat. 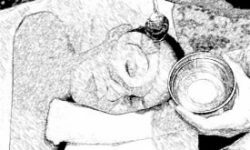 So Patra Pinda Swedna therapy is an Ayurvedic treatment in which warm pouch or potli filled with herbal oils, powders or medical concoctions are applied and massaged over the body. The entire body or specific parts are made to sweat as a result of application of the herbs. In this procedure the potali is heated with suitable oils and applied throughout the body with mild pressure at specific positions that help in healing the body. The Potli contains selection of Ayurvedic herbs both fresh and dried which are chosen based on patients Ayurvedic constitution and the pain against which patient is being treated for. When the heated potli is massaged on the body, it opens the pores and relaxes the muscles, allowing the carefully selected herbs to work on the body and mind. The oil used for the preparation of the Potli varies according to each patient. There are many benefits of this therapy. It strengthens the back and spine, reduces pain and swelling, reduces stiffness and inflammation, increases the circulation and thus improves the functioning of the joints etc This therapy is a generic ayurvedic pain relief therapy and there are more specific therapies other than Patra Pinda Swedna therapy which are done for specific pain issues. Janu is Sanskrit word and it means “knee” and Basti stands for container or retaining something inside. Therefore Basti implemented over the Janu is known as the Janu basti. Our knee is the main juncture of human body and as we age, it keeps on suffering a lot. The fluid between the bones tend to dry up, owing to which, there is a lot of pain. Yes, it causes friction and hence, smooth movement is not possible. With Janu Basti, proper lubrication is provided to the joints and the stiffening cells and fluid are rejuvenated. This procedure is similar to Kati Basti but done on the knees. It relieves pain in knee joints, prevents degenerative changes like in osteoarthritis, thus promoting knee strength. This procedure is done in order to strengthen the knee architecture i.e muscles, joints and improvise the functions of knee joint thereby preventing it from further degenerative changes. This therapy is helpful for vatta related disorders of knee joint and proficient for the patients that are suffering from the diseases like Knee sprain, Knee , bursitis, Osteoporosis, Pain in knee joint, Patellar tendinitis, Arthritis of knee joints etc. basically for arthritis, joint pains, and other inconveniences happening to the body. Basically, it treats the body’s lower parts. Mainly, oil is used in the procedure. The oils differ from person to person. At Sparsh Ayurveda, depending on the constitution of the body as well as the imbalance of the bio energies, we carefully study the body’s property and accordingly use the oil. Netra is Sanskrit word which means eyes and Tarpan means nourishment. So combinedly this term means nourishment of eyes or in a way rehydration of eyes. Netra Tarpana is one of the specialized treatments for various eye disorders. Netra Tarpana acts as both preventive and curative therapy for maintaining normal healthy condition of eyes. It is a healing and rejuvenating treatment for eyes done without any surgical procedure. In Netra Tarpan, the medicated ghee is poured over the eyelids in an enclosure built around the eye out of wheat flour. It is said to be an excellent treatment to improve vision and clarity of the mind. Normally the medicated oil is retained in the eye grove for as long as 10 minutes or as directed by the physician. After removal of the oil a nourishing massage with medicated oil is to be given on the surrounding muscles and areas. Netra Tarpan is beneficial for all types of eye disorder or eyesight related problems include sore eyesight, dry eyes, scratching and burning sensation of eyes, redness of eyes and irritation, pain in the eyes, vision impairment, sensitivity to light, blurring vision, conjunctivitis, night blindness, myopia, glaucoma, cataract, squinting of eyes, etc. Netra Tarpan strengthens the orbital muscles and thus improve the functioning of the eye. Increases the circulation of the facial muscles and Facial nerves. The process is done for period for 7 to 14 days or as directed by Physician. The prescribed medicines has the quality of transpassing into minute channels of the body, hence when applied in the eyes, it enters deeper layers of Dathus and cleans every minute part. The selection of the medicine for the procedure is based on the patient’s condition, the medicated gritha is selected depended upon the Rogi bala (strength of the patient) and Roga Bala (severity of the disease). Remember like all Ayurvedic rejuvenation treatments you can only be given this treatment after consulting with a certified Ayurvedic practitioner who will judge the relevance of Netra Tarpan according to your clinical condition before directing you to go for it and it must be provided by the experienced Ayurvedic therapists in a Ayurvedic clinic and not as a readily available cosmetic rejuvenation procedure for your sore eyes. Kati basti is a pain relief therapy wherein medicinal oil is used for relieving tensions of the lower back. The patient lays down on their stomach, a ring is fixed on their back with a paste made of a special flour and water. Warm medicated oil is poured inside the circle which penetrates deep into Ashti dhathu (the bone tiissues). Kati Basti is generally used for lower backache and disorders of lumbosacral region, including slip disc, lumbar spondylosis, sciatica, spinal problems etc. It is very safe, non-invasive and green category procedure. It is a complete therapy for back pain and lumbosacral disorders. The therapy enhances healing and recovery from the spinal problems. Kati Basti has a higher success rate and it is non-invasive treatment which is very cost effective compared to hundreds of thousands of spinal surgeries. It is cost effective and affordable treatment option for chronic backache. 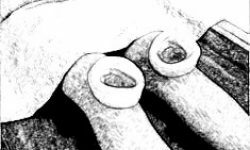 The patient might be asked for an X-ray or MRI scan of the back to identify the location of the problems, so that the Kati vasti ring can be placed there. Ayurvedic body massage is done before Kati Basti. A steam bath is offered after the massage for 10 to 15 minutes. Finally Kati Basti therapy is done. Avoid bending forward or backward after the Kati Basti treatment. Do not lift any kind of heavy stuff during the treatment course. Correct your sitting and standing postures. Special Yoga asans from Yoga expert, Dr Pratibha Agrawal, are taught to the patients which he needs to do post therapy for almost 2-3 months for permanent relief from the pain. Greeva is a Sanskrit word which means “neck” and Basti stands for container or retaining something inside. It is a neck pain relief therapy. This therapy is carried out similar to Kati basti but in the cervical region. A boundary is made with herbal paste and suitable warm oil is retained in it for a prescribed period of time. It relieves pain in neck region and promotes strength. This therapy involves bathing the neck region with medicated oil. Due to present day lifestyle which involves continued and glued sitting position and lack of body movements the problems of the spine, muscles and skeletal tissues of neck and shoulder arise. Greeva Basti addresses these issues effectively. Greeva Basti is recommended for pain management conditions such as cervical spondylosis, stiff neck and pain due to muscular strain. Special Yoga asans from Yoga expert, Dr Pratibha Agrawal, are taught to the patients which he needs to do post therapy for almost 2-3 months for permanent relief from the pain. Shirodhara comes from two words “Shiro” and Dhara. Shir means “head” and “dhara” means stream. Hence Shirodhara means streaming on head. Shirodhara is traditionally done as part of the Panchakarma cleansing process using specially prepared Shirodhara oil. It is also safe and effective as a stand-alone therapy. 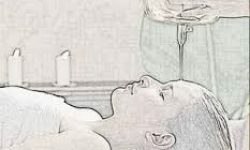 In Shirodhara, warm herbal medicated oil is continuously poured in form of a stream on over the forehead or ‘ajna marma’, an area where nerves are highly concentrated. The pressure of the oil onto the forehead creates a vibration. The oil saturates the forehead and scalp and penetrates into the nervous system. Pouring of warm oils used stimulates and sooth the hypothalamus, thereby regulating the functions of pituitary gland and inducing deep state of rest, similar to meditation. The treatment directly and immediately calms, relaxes and has a cleansing effect on the mind and nerves. The warm oils used for Shirodhara also cause vasodilatation of all the channels and thereby improve the blood circulation of brain. Shirodhara also reduces the level of stress hormones such as adrenaline and thus relaxes mind. The medicated liquids and oils used in the process help relax the body and mind by removing the harmful toxins accumulated in the body. The stress levels are reduced and the concentration level is also increased. Sleeplessness is cured with this method. Shirodhara can help relieve symptoms of anxiety, stress, fatigue and hypertension. It relieves tension, worry, fear and headache as well as depression. Shirodhara can also assist with Post-Traumatic Stress Disorder (PTSD) and Insomnia and Shift Work Sleep Disorder (SWSD). If you’re a frequent flyer and your daily sleep rhythm is often out of sync and you suffer jet lag, shirodhara can help reset your daily pattern of waking and sleeping. Precaution needs to be taken to prevent the oil from entering into the eyes or nose. It is therefore advisable to go to a professional Ayurvedic clinic and get Shirodhara procedure done from experienced therapists. At Sparsh Ayurveda, all the therapists are well-trained and experienced who perform the Shirodhara Treatment skilfully. 1. Head massage of the patient for 15 to 30 minutes before the procedure. Medicated oil is used for head massage. 2. Patient is laid down in lateral position. Medicated warm oil/ghee is poured into affected ear. 3. Patient stay in the lateral position for 15 to 20 minutes. The procedure is generally followed continuously for a week for better and desired results. Medicated oils used in Karna Purana have strengthening properties for ear structures. These oils nourish all parts of the ears including external ear, middle ear, inner ear and eardrum. The ayurvedic oils used in the therapy of Karna Poorna are beneficial for reducing inflammation and pain of the ears. It nourishes the acoustic nerve and improves signal quality to the brain. It also enhances better interpretations of sounds by the hearing center in the brain. Karna purna helps to calm the brain and mind as well. It increases sense of sound by enhancing ear functions. If karana purana is taken regularly in interval of six months, it will remove frequent ear infections, if any. Karna purana therapy is contraindicated in following cases: Eardrum rupture ear injury cuts in the skin of ears, ear wounds, burns that affects ears some people may experience some discomfort in the ears after the procedure, but it will be only for a little time. Agnikarma is a superior para surgical procedure. (Thermal Cautery) therapy has been designed to relieve various muscular and joint disorders. Agnikarma is effective in conditions of acute pain, as well as chronic pain. The Agnikarm involves a procedure whereby heat is transferred to the affected parts of the body using a metal Shalaka (metal rod). The Pancha dhatu shalaka is made up of copper, brass, bronze, lead and tin in equal quantity. Therapeutic burns are created using these metal rods, based on the specialist knowledge in a number of areas including the kind of disorder, the constitution of the patient, severity of the disorder, etc. Conditions like Knee pain, Back Pain, Sciatica, Lumbago, Lumbar spondylosis, Slipped Disc, Neck pain, Cervical Spondylosis, Osteoarthritis, Tennis Elbow, Carpal Tunnel Syndrome (CTS), Heel pain, Planter fasciitis, Myofascial pain, Chronic fatigue pain, Tendonitis, Frozen shoulder, Migraine etc. can all be treated with the help of Agnikarma (Thermal Cautery) treatment. Heat from SHALAKA is transferred to skin which removes obstruction in the Srotas(minute channela) and increases the blood circulation to the affected site. The rate of any metabolic activity is increased by a rise in temperature. From the therapeutic point of view with an appropriate rise in temperature, all cell activity increases, including dilatation of vessels, cell motility, synthesis and release of chemical mediators. More blood circulation, flushes away the inflammation and patient gets relief from the symptoms. Afferent nerves stimulated by heat is like an analgesic effect. Persons of Pitta prakruti, emaciated, children, old aged, sensitive, pregnant, multiple ulcers in the body, anemic, obesed, indigestion, alcoholic, poison affected, low immunity etc are not recommended for this therapy. Improperly performed Agnikarma will lead to severe burning sensation, increased pain, destruction of tissue, suppuration, bleeding, non healing ulcer formation etc. Properly performed Agnikarma by skilled surgeon will give excellent result in several conditions. Unlike other face beauty therapies, Ayurvedic Mukh Lepam (facial therapy) at Sparsh Ayurveda is known to be the best for any skin type. It is a divinely relaxing experience that purifies, nourishes, and rejuvenates skin for a luminous glow. Why slather your face with artificial products when you can use Ayurvedic herbs for facial? 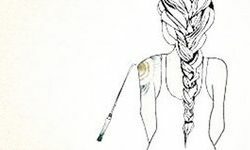 Ayurveda says specifically that our facial appearance is a reflection of our body’s internal condition. Just by face, a person who is over stressed can be easily identified. his is because stress affects the facial muscles and causes them to contract. Massaging face releases endorphins, the “feel good’’ hormones that help us to relax and feel positive. Facial rejuvenation works on the structure of the skin, eases restrictions, and lifts up the face. The skin is made up of connective tissue that is formed from protein fibres of collagen and elastin. These fibres weave together to form a flexible web-like structure. Over time, toxic by-products build up in the skin, causing the fibres to lock together. The skin loses its mobility. Facial rejuvenation helps release the tissues and allows the connective tissue to regain its freedom and elasticity. 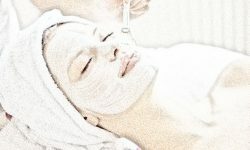 An added benefit to Ayurvedic facial massage is relaxation. Tension is released from facial muscles and adjacent tissues and as a result face will feel more mobile. Mental attitude will be positive, headaches may disappear and tension may melt away. There will be an improvement in the body’s energy flow and you will be left with a sense of general well-being. The end result will be confidence and joy. All Rights Reserved | Sparsh Ayurveda.